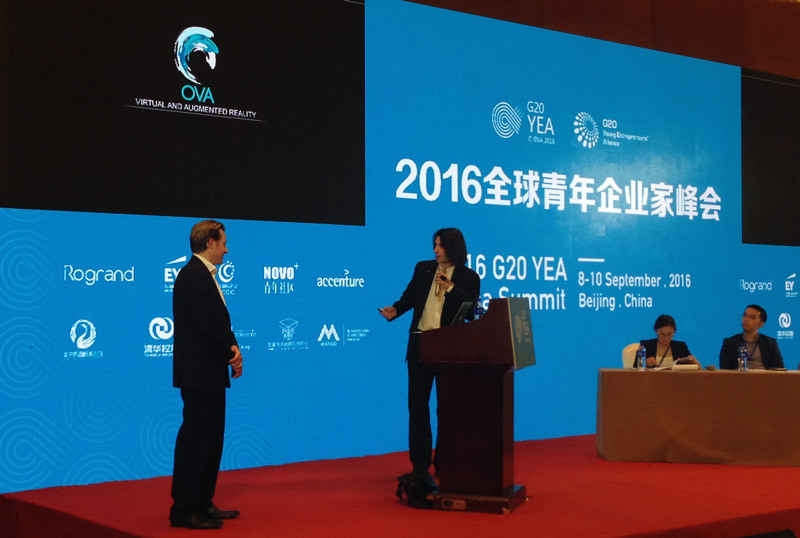 Harold Dumur, co-founder of OVA and a graduate of the Accélérateur Banque Nationale – HEC Montréal, took first place in the “Pitch Competition” at the G20 Young Entrepreneurs Alliance Summit in Beijing, China. He was up against some fifty businesses from all the G20 countries. For its part, OVA created StellarX, a virtual and augmented reality creation tool for non-programmers. The competition was held in conjunction with the G20 Young Entrepreneurs Alliance Summit in China. A trade mission was combined with the event for some forty young Canadian entrepreneurs, including five HEC Montréal graduates.